We're from Columbus and are always looking for a weekend to get away and stock up on Buckeyes gear! 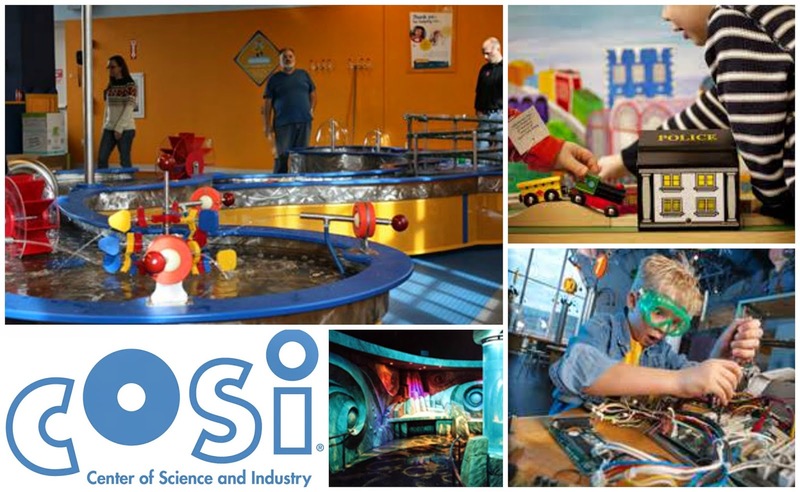 Our kids would LOVE COSI! Thanks for the opportunity! 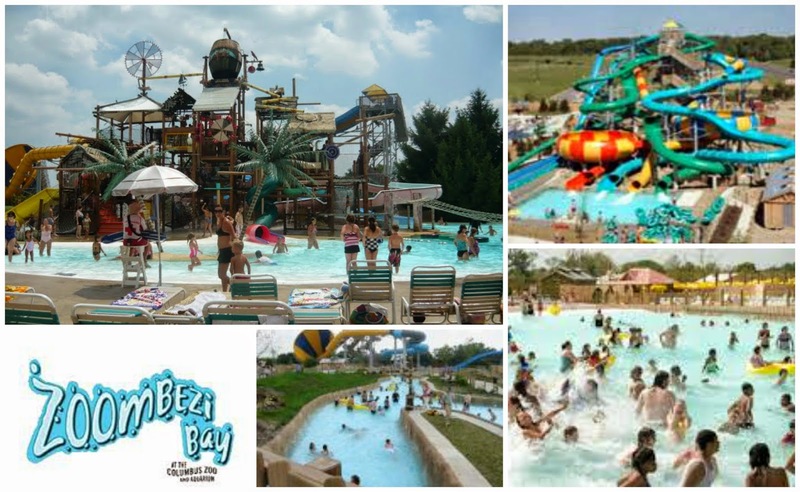 I have never been to Columbus and I know my kids would love this water park! I would love to win this getaway for my family since we haven't had a vacation for 9 years! My 4 year old and baby have never been on a vacation! I would love to win this to get away to get to relax from games and schedules. Could really use this. We would love to go on this trip, get away for a couple days! We are looking to do some easy local weekend trips this summer! We have never been to Columbus and our adventuresome kids would go nuts over this! New blogger and love your posts!! We are looking for weekend getaways this summer and this would be amazing!! We LOVE Columbus Zoo but have never been to the other 2 places. My kids would be so excited! We are planning a trip this summer and this would be so amazing to win and help us out!! We can't wait to see this Columbus Zoo! We would love to give the kiddos a fun vacation! This would be a great getaway for my kids. They would love all of the attractions! Thanks! I'v never been to Columbus. I'd love this chance to explore it with my family. My son would love cosi. He is such a science lover. This would be a great trip for my family. What an exciting apportunity! My kids would love this! So would my husband and I! My family and I have never been to Columbus, and have been looking for things to do this summer... Even if we don't win, thank you for all of the information about these fun places to visit! I used to live near Columbus - it is a great city. And it is on the way to my inlaws - would be a great stop on the trip!! I've seen this promo in the past and it looks like fun! I'd love to try it. My son loves our zoo, we visit at least once a month. It would be wonderful to go and see the Columbus Zoo, I've heard amazing things. It would be a wonderful little getaway! I didn't know Columbus had these places. I'm excited to check them out! We have been to the Columbus zoo but not COSI. Both of my daughters would Enjoy this trip. My girls would love this mini vacation! We will keep our fingers crossed. Thank you! We love the Columbus Zoo!! We have gone a few times and we walk away with tons of memories and pictures!! Always a great time and we love that we can enjoy it all as a family!! This would be an absolutely great family trip for us! What a fun way to explore a new city!! We've always wanted a reason to see Columbus and this would be a great way to do that! My children just completed their swimming lessons! This would be a great reward for them. Free trips with my girls are always great! There's no better way to take a break from the daily grind than a nice weekend getaway! Ahhhh. This is the perfect opportunity for a babymoon. With number 3 on the way, my 7 year old has been awful bored. He and my 1 year old can't get enough of the water so they would have a blast. Thanks for the opportunity. Fingers crossed. This would be great to win. My daughter and niece would have a blast! We have custody of our 6 year old grandson and he had a very rough start and never got to go anywhere outside of the city. We don't have the means to take him anywhere fun and I think if we won this, this would be a memory for him that would last a lifetime and just to see the joy and happiness on his face would be priceless to us. Our family has been through so much this past year it would be amazing to get away from it all! We have been wanting to plan a trip to Columbus to take my daughter to the American Girl store, so this would be perfect! If you don't win, you can still come! The Roar and Explore Adventure Getaway is available at http://columbusfamilyfun.com starting at $411 for a family of 4! That sounds like a fun weekend! I spent some time in Columbus in college and found it to be such a nice place. Looks fun! We would love to visit Colombus! We were only in Columbus once very briefly. My 3 boys are always asking to go back and would absolutely adore all the fantastic things the area has to offer!! Love Columbus! Haven't been in years. We've never been there and we are finally all at ages that we can do trips! I've never been to Columbus! My family would love to check it out! Great promo ... we would love to explore Columbus. Not too far of a drive and we have heard great things about the city! Thanks! Love Columbus! What a great city with an amazing zoo and college--go buckeyes! As a mom of three kids under four, and my husband is the only one working so I can stay home with our kids, vacations are hard to pull off very often financially! We would love the opportunity to experience this adventure! Loved the Columbus Zoo on Mothers Day and would like to take the entire family there, plus would love to check out the awesome water park. It looked really fun! We have never been to Columbus and would love to see the city and, especially, visit the zoo. Could use a break from endless things happening. Would love to break our string of bad luck medical issues and things breaking in general! A getaway to have some family fun!! What a great giveaway! We could all use a liitle road trip! This sounds like an awesome trip with something for all age children (and their mommies and daddies). We LOVE to visit Columbus. The Drury hotel chain is by far are favorite, so I'd love to check out the one there. COSI is amazing. We go at least once a year. We haven't been able to visit the Zoo in a while, so it would be nice to go back. We have all never been to the water park and would LOVE to try it out! We love Drury, and Columbus is an easy drive. What a great giveaway! Thank you for the hope, oppourtunity, & smile this gave me. My father in law died last month, & our family vacation was scheduled during that time, so we needed to canel that. God Bless you! We would love to be able to take a family vacation! Would love to win to take my family! We've been working so much and just recently had our cat pass away. Would be great to have a fun getaway! I would love to win this! We need a family getaway to unwind. We love Columbus and it is home to some wonderful friends of ours. We would love a vacation that is just for our family. Thanks for the opportunity! This looks like a ton of fun! Thanks for hosting such a great giveaway! I'd love to visit Columbus again, the area is so beautiful and there are so many things to do there! This would be a great, fun filled family trip to do when we move back to the area this summer!! Even if I don't win this give-a-way, I'm anxious to meet up & participate in all the events you post! Thanks! So many cool activities to do! Thanks for sharing!!! We love going to Columbus! We would love a chance! Wow, what a great giveaway. Our family has considered a Columbus trip, and this would make it happen! What a great giveaway. I have never been to Columbus and would love to check it out. This is a great giveaway! I've never been to Columbus and my five year old would love this! Such a great givaway! This sounds like a great place to go for a short fun filled trip! Never been to Columbus... sounds like the perfect reason to go & explore as a family! Columbus is halfway to the grandparents' house - great to know more about what the city has to offer; it would be fun to meet up with them there sometime! I would love to win this adventure to Ohio. I used to attend a camp for Girl Scouts that was at COSI and I would love to show my children around the science center, I've also always wanted to visit the Columbus Zoo. Just bought a house and money is tight. We would love time away as a family ! My kids would LOVE this! They love animals, playing in the water, and museums! What a great trip idea! This would be such a great way to spend time as a family! 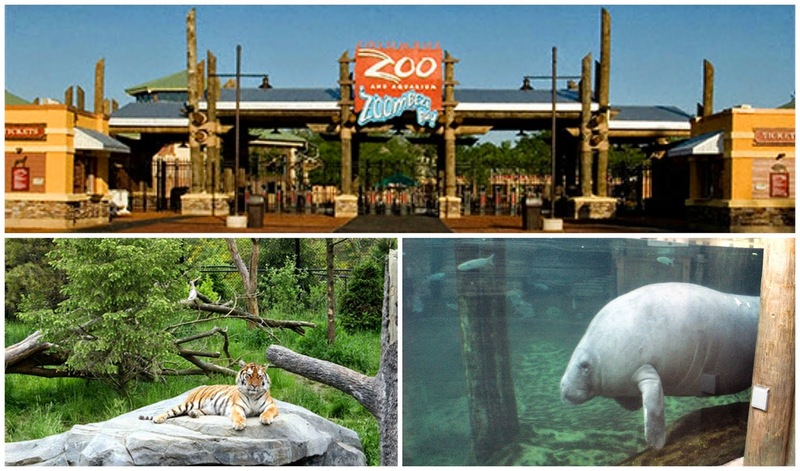 We always have wanted to see the Columbus Zoo! not to mention, my kids are science fanatics! They would go crazy! We've never been there! It looks like a fun trip. We'd love to check out a city we haven't visited before! My daughter and I are always on the go. And we are constantly looking for great new things to do together! Our family hasn't left Pittsburgh in 8 months and would love the chance to visit Columbus! We briefly went to Columbus to visit some friends but didn't get to see much - we'd love to go back! We are a short distance from Columbus and would love to take the kids on a little getaway. Zoobezi Bay sounds like a blast! I would like to win and take the kids to Zoobezi Bay. My kiddos would love time away with mommy & daddy - especially to the zoo! <3 With Dad out of work currently, this would be perfect! We plan to go to Columbus one day as a family weekend getaway! I remember going when I was a kid! Love to make memories! We love to travel and expose the kids to everything around them. Even if it's not an exotic place- it's realizing the fun/ neat places that can be right in our own neighborhood :) we just have to seek them out! What a great package! I'd love to explore Colombus w my kids. I've heard from friends the zoo is fantastic. Sounds like a fun getaway! We are from Pittsburgh, but have a lot of family in Columbus. This would be a great opportunity to take a mini-vacation and also visit everyone. Thanks for the chance to win! This looks like it would be a lot of fun for kids and adults alike! Would love a family getaway!! We weren't going on vacation this year because of a home project that needs to be done,so this would be wonderful to win. It's difficult to get our teenage son to do things with us these days but when we go on vacation together we get to spend that quality time together even if it's just for a few days. And my five year old would love all the awesome activities in this giveaway! this looks like it would be one fun weekend! My family would love this vacation because we have never gone on a family vacation! My husband and I have a 6 yr old 3 yr old and a 9 month old. Also my kids absolutely love the zoo!!! We recently had the loss of our children's Grandfather....would be a great stress relief/get away. I would love to win this!!! My kids (as well as my husband and I) have never been to any of these places! It would be such an exciting getaway! I've never been to a zoo and I really would love to take my kids. the water park sounds so much fun and my family has went on vacation together yet. I'm from ohio and never got to go to these places. Love the Columbus zoo. Daddy just finished law school. Would love for him to get to spend quality time with us all as a family!!! Good luck everbody! Would love the chance to explore a new city! I have never been to the Columbus Zoo and would love to take my son to see all of the animals. This trip sounds great - we love Columbus and would love to get back there this summer! I love checking out new places with our family. This would be a great getaway. I would love to win this so that my son could experience COSI and the zoo! This would make for an amazing family vacation for us!